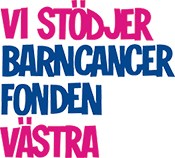 If you have a question which is not in our F.A.Q list, don´t hesitate to contact us via faq@musikmotcancer.se. If I can’t attend the live auction on-site, how can I make a bid? What payment options are availabel! Cash payment – paid on-site and take home the item. Credit card payment – pay by card on-site and take home the item. Advance Invoice On-site – if the person with the winning bid is on-site an invoice will be sent the day after the auction via e-mail, this is so we can calculate the shipping costs and add them to the invoice, the items will then be sent when Music Against Cancer have received the payments. Advance Invoice Online (both national & International) – if the person with the winning bid is not on-site an invoice will be sent the day after the auction via e-mail, this is so we can calculate the shipping costs and add them to the invoice, the items will then be sent when Music Against Cancer have received the payments. PayPal payment is available for all on-line auction items, but only when the final invoice with all shipping costs included is received by the winning bidder. How do I register to be able to place a bid? How to register; Follow this link which will take you to the register page, choose your language and fill in all the necessary information, then follow the instructions on how to bid. What are the shipping costs for countries outside of Sweden and the EU? All other countries will be attended to on a case for case basis as it is very difficult for us to find out shipping costs for every country in the world. we recommend that auction members that want to bid for any of our items check out shipping costs to their own countries from Sweden. What are the shipping costs for guitars or larger instruments within EU? NOTE! All shipping costs must be added to the final winning bid price. What are the shipping costs for guitars or larger instruments within Sweden? All donations, large and small, are equally welcome. You are helping us make a difference. Copyright © 2019 Music Against Cancer | Webdesign TA Produktion, Image design Ady Price, Photograph Joachim Nywall.